Galen is considered the most influential ancient physician after Hippocrates. His name in Latin is Claudius Galenus and his name in Greek is Claudios Galenos. His findings about how the body works has dominated medical studies for 1400 years. 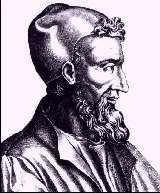 Galen produced over five hundred tracts on medicine, philosophy and ethics. Many of the works written in Greek are no longer in existence, but translated versions still exist. Galen was the son of a gifted architect. He was born in Pergamum, where many Romans traveled in the hopes of improving their health at the shrine of the healing god, Asclepius. Galen learned healing practices at the medical school, which was part of the shrine. As part of his education, he studied Platonism, Aristotelianism, Epicureanism and Stoicism. His formal medical education took place in Smyrna in Asia Minor, Corinth in Greece, and Alexandria in Egypt. He traveled extensively to gain a comprehensive understanding of the medical field. He then returned to Galen in 157 to be chief physician and then moved to Rome to become a personal physician to emperors and nobles. He was envied by other doctors as he earned a reputation of being able to cure the incurable. He briefly left Rome in 166 when the city was struck by the plague. On his return, he was appointed the personal physician to the heir to the throne. This appointment gave him the time and resources to experiment. Very little is known about his life after this time. As a medic, Galen was one of the first to have dissected both live and dead animals. He is noted for showing that muscles were controlled by the brain and how they work. Among many other achievements, he also proved that arteries did not carry air, as had been the belief for the previous four centuries. As a philospher, Galen followed Aristotle's view that there is a reason for everything and that to understand God's purpose, one must study nature.